Product code: ES6498 Categories: Antique, Antique Earrings, Silver & Silver Plate. Perfect for day or night, these antique sterling silver drop earrings made in 1883 will suit any occasion and always be admired. Measuring an elegant 24.8mm in length by 15mm wide, the earrings are fitted on shepherd hooks to sit just under the lobe. 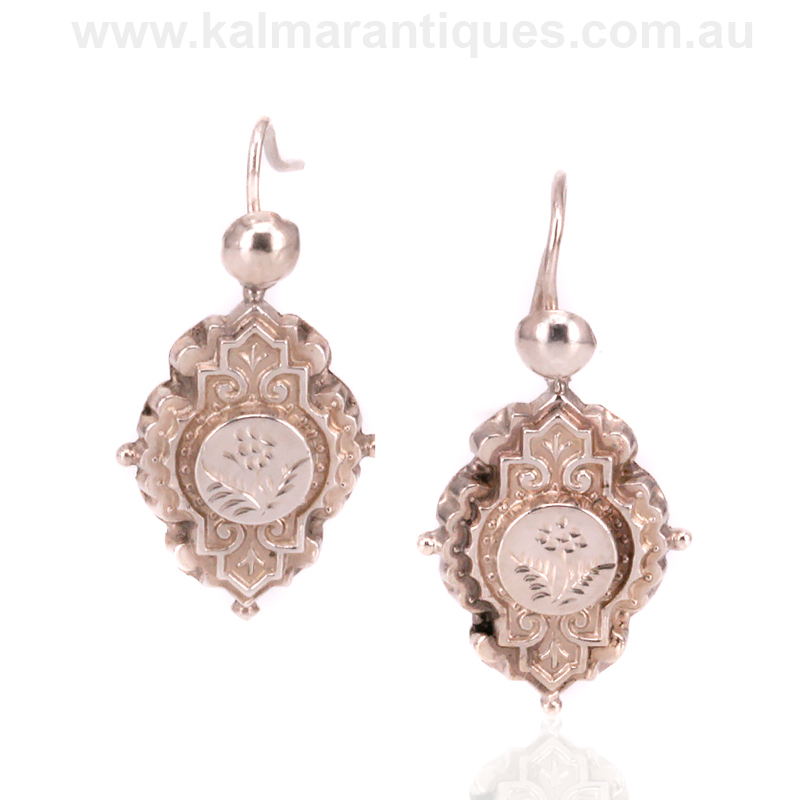 With a hand engraved flower on each earring and a wonderful surrounding pattern, these are such an elegant pair of antique earrings that look as beautiful today as when they were made over 130 years ago.